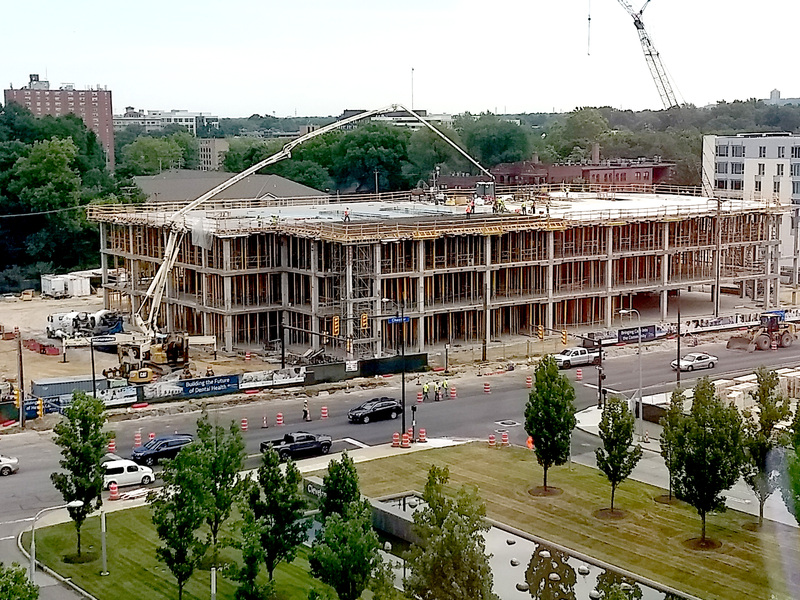 Donley’s is providing concrete services to Ozanne Construction for the new Case Western Reserve University School of Dental Medicine. The three-story, 126,000 square foot structure will provide a space where students can treat patients under dental faculty supervision. The new school is located directly across the street from the new Health Education Campus. 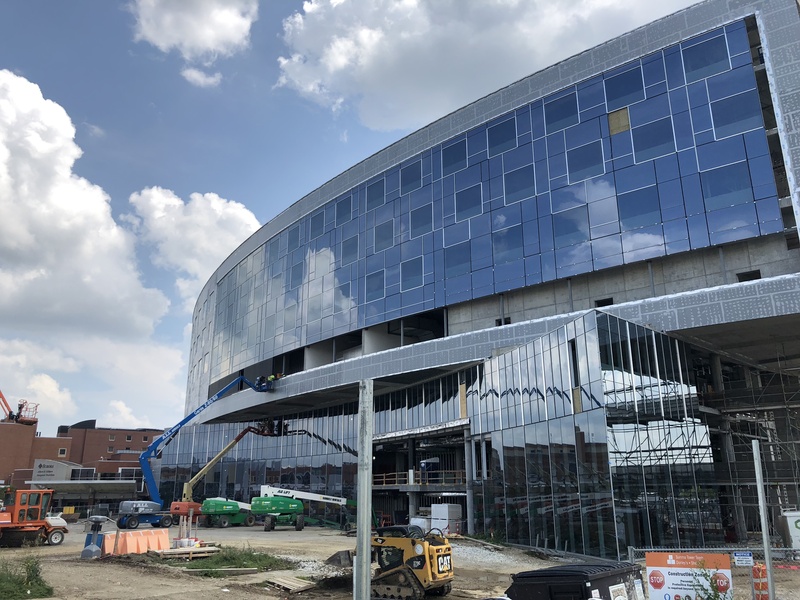 University Hospitals’ project in the west side suburb of North Ridgeville is a $20.5 million state-of-the-art outpatient health center and freestanding emergency department. Construction began in March 2017. The 50,300 sq. ft. facility is located on 30 acres on the north side of Lorain Road and will be highly visible from Interstate 480, Interstate 80/Ohio Turnpike and easily accessed from state Route 10. These 30 acres give UH enough land to expand the facility if needed in the future. In a construction management joint venture with Shook Construction Co., together we are constructing the new six-story west bed tower. The 331,000 sq. ft. tower will serve as the hospital’s new main entrance and will house two 36-bed medical/surgical units with all private rooms, a breast center, eight new operating rooms, 65 same-day surgery rooms and a women’s health center that includes a 36-bed post-partum unit. On this project, Donley’s is self-performing the structural concrete and the building is scheduled to be completed in late Spring 2019. Below is an exciting drone video, courtesy of John Tomsick, that gives you a closer look of this project! 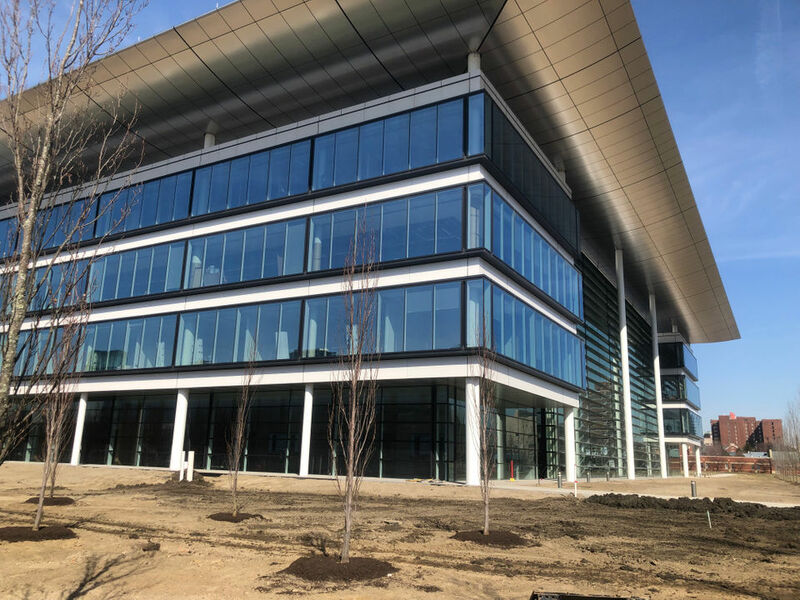 We are pleased to announce the dedication of the recently completed Sheila and Eric Samson Pavilion on the Health Education Campus at Case Western Reserve University and Cleveland Clinic. The state-of-the-future Pavilion combines the education of students from medical, nursing, and dental schools under one roof. We are proud to be part of the team with our joint venture partner with Turner Construction. 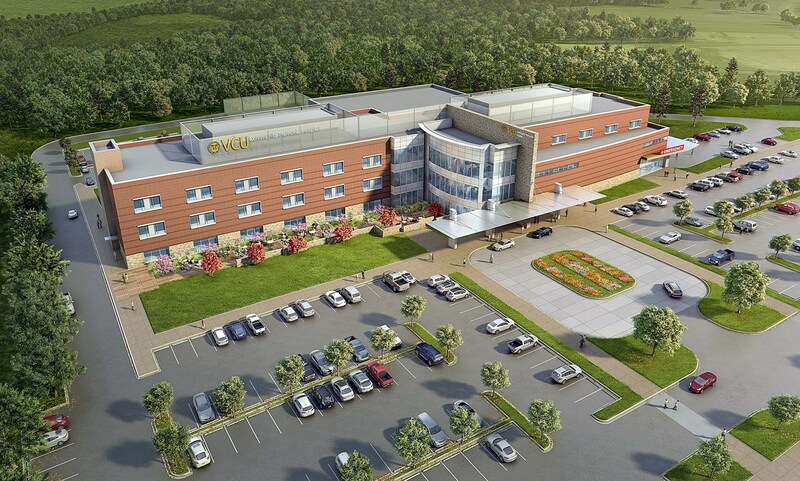 Donley’s Concrete Group served as concrete contractor for VCU’s hospital replacement, sitting on 73.9 acres of land. 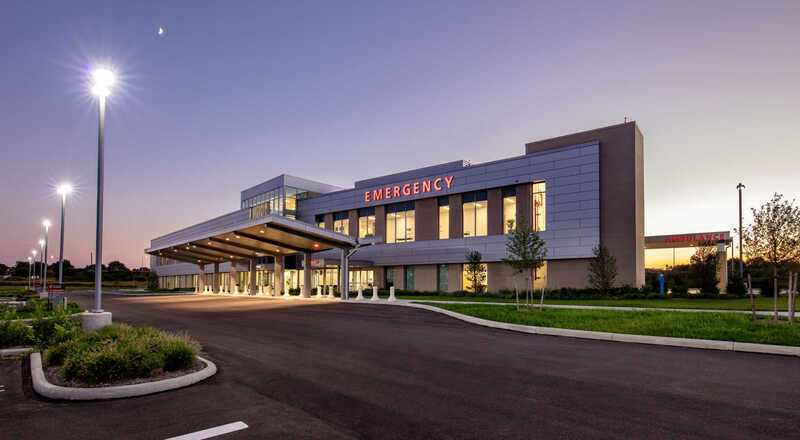 The new state-of-the-art facility will feature 70 beds, an emergency department, three operating rooms suites and spaces for added services such as cardiac catheterization and obstetrics services. The hospital is to be completed in late 2017. 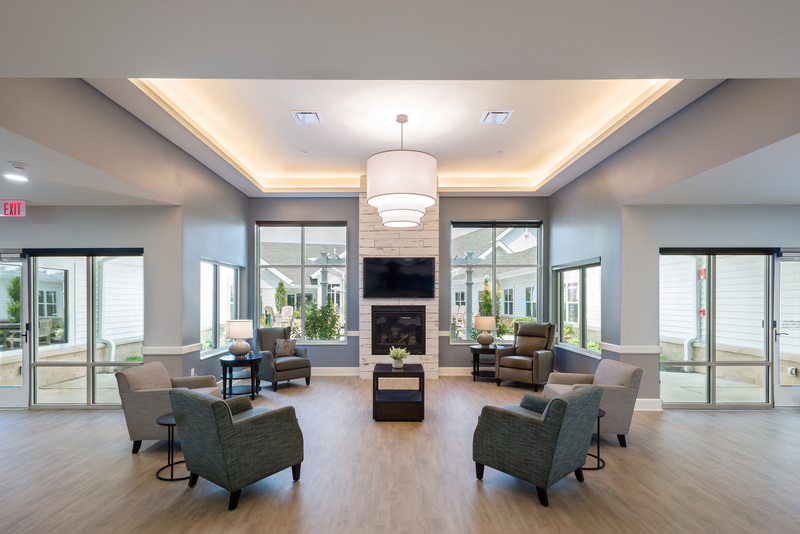 In order to meet the healthcare needs of an estimated 34,000 veterans in the Piedmont Triad (NC) metro area, the Department of Veterans Affairs has constructed a new four-story Health Care Center in Kernersville. Serving as concrete contractor to Lend Lease, Donley’s Concrete Group poured conventional foundations and slabs, as well as structural steel construction with slab on composite decks. The center opened in the Spring of 2016, and offers veterans enhanced out-patient primary health care and specialty services. The North Carolina Heart & Vascular Hospital was designed with four archetypes in mind: high-tech, natural, inviting, and clean. Comprised of a ten-story bed tower with adjacent four-story diagnostic and treatment building connected to the northwest quadrant of the existing hospital, the new 300,000 sq. ft. hospital is now meeting the needs of heart patients through its 114 licensed beds, including 72 step-down/telemetry beds, a 20-bed cardiovascular intensive care unit (CVICU), and 22 acuity-adaptable beds. Diagnostic and treatment procedure spaces include six cath labs, two electrophysiology labs, two interventional radiology labs, two hybrid ORs, a 10-bed PACU, and a 47-bed prep recovery unit. Donley’s completed the design-assist concrete and waterproofing package for the Cleveland Clinic’s new Cancer Building. The 377,000 sq. ft. facility is located on Cleveland Clinic’s main campus and houses their Cancer Institute.